We present a new construction of a pseudorandom generator based on a simple combination of two LFSRs. The construction has attractive properties as simplicity (conceptual and implementation-wise), scalability (hardware and security), proven minimal security conditions (exponential period, exponential linear complexity, good statistical properties), and resistance to known attacks. 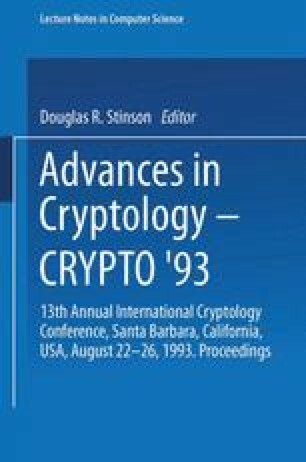 The construction is suitable for practical implementation of efficient stream cipher cryptosystems.